Mrs. Sylvia Marie Griffin Avery, 79, went to be with the Lord on Saturday, April 1, 2017 at her home. Mrs. Avery was a lady who loved people and was loved by many. 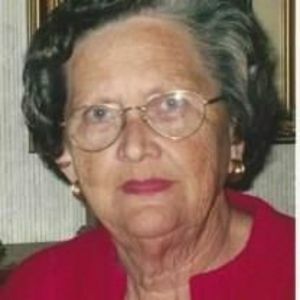 Among her many interest were the Ruitanettes for many years, the Mittie Manning Circle at Maple Grove Christian Church where she was a long time member, and during her time of living in Dunn, N.C., she was very active in the Erwin Chapel PFWB Church Ladies Auxiliary. Sylvia had a love, and a talent for cooking. She helped to feed many families during their time of grief both at Maple Grove Church and else ware. She loved to decorate and cook for all occasions and was involved for years with the Golden Girls of Farm Life. Sylvia always looked forward to the Old traditional Christmas party that she held for her many friends and family. She loved to travel and helped many friends in her community with their errands and needs. She truly was a servant to others. Mrs. Avery is survived by sons Robert Avery, Jr. and wife Tina of Dunn, N.C., James Avery and wife Angie of Beaufort, N.C. and a daughter, Susan Avery Strong of Williamston. ; grandchildren, Amanda Marie Strong, Griffin Avery Strong, James Wyatt Avery, and Rosemary Lynn Hughes; her husband, Robert Avery, Sr., and her aunt, Dorothy Roberson Hardison; sister Leyta Hollis and husband Donald of Williamston, and brothers, Jesse Wade Griffin and wife Susie, James Earl Griffin, and Donald Wayne Griffin and wife Joyce all of Williamston, N.C. She was preceded in death by, her parents, Lester James Griffin and Chloe Marie Griffin. Funeral services will be Monday April, 3rd 2017 at Maple Grove Christian Church in Jamesville, N.C. at 3:00 P.M. Visitation will be Sunday, April 2nd, 2017 from 6:00- 8:00 P.M. at the Family Life Center at Maple Grove Church.